Tech savvy criminals are increasingly targeting luxury cars with keyless fob systems, a UK motoring industry group has warned. These thieves can circumvent a car's security system using equipment used by professional mechanics, the Society of Motor Manufacturers and Traders (SMMT) said. By hacking the car's inboard computer, criminals can start a vehicle by using its ignition button, which is a feature present in many high-end models, such as BMWs and Range Rovers. 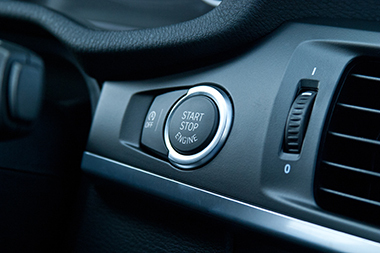 The warnings from the SMMT are reminiscent of those made earlier this year by the US National Insurance Crime Bureau (NICB), which said it had seen a "spike" in thefts of cars using keyless entry technology. A keyless system typically works by the use of a fob, which the driver keeps on their person. This fob automatically opens the car as the driver approaches and presses a button on the car's exterior. The car then activates so it can be driven away, usually by pressing an ignition button on the dashboard, without the fob being removed form the owner's pocket or bag. But, as the popularity of these convenient keyless systems increases, criminals have been buying equipment online, via sites such as the online auction house eBay, that can re-programme keys and gain access to a vehicle. Jaguar Land Rover recently told the BBC: "The criminal act of stealing vehicles through the reprogramming of remote entry keys is an ongoing industry-wide problem". Jaguar Land Rover reassured the BBC that its fleet of cars continues to meet the insurance industry's standards but they are taking the issue "very seriously". Such manufacturers are also trying to beat the criminals by continually updating their software to combat this continuously evolving problem. 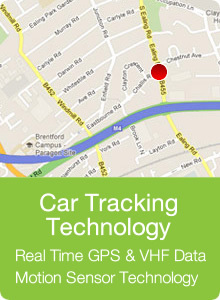 Another way to beat these thieves at their own game is to invest in a car tracking device. There are many car tracking devices available nowadays that use a combination of GPS tracking and radio wave technology to find your car should it fall victim to a keyless theft. Such devices are also recognised by car insurance companies and could help bring your premiums down. This high-tech criminal activity can also invalidate the owner's car insurance policy and some London-based car owners are even being refused insurance as they cannot leave their cars in a secure location, according to reports in The Times. Cars are becoming much harder to steal, with car theft falling from 318,000 in 2001 to 77,500 last year, according to figures from the UK Office for National Statistics. But thefts that hack a car's computer equipment are rising. The SMMT is pushing for stronger legislation to help reverse this. One of the main challenges is that the equipment used to hack a car's computer system is also used legitimately by garages that carry out routine maintenance work, an SMMT spokesman told the BBC: "We need better safeguards within the regulatory framework to make sure this equipment does not fall into unlawful hands and, if it does, that the law provides severe penalties to act as an effective deterrent."